Several local athletes have had big seasons at the Division I level. 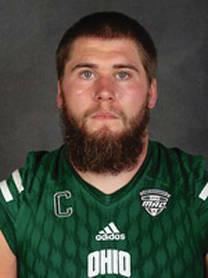 Ohio University senior and former Covington standout A.J. Ouellette is finishing off his career in a big way. Ouellette followed rushing for 168 yards on 15 carries against Miami, with a monster game as OU upset Buffalo and kept alive any hopes of getting to the MAC championship game. Ouellette rushing 196 yards on 26 carries in the game, scoring two touchdowns. He now has 973 yards rushing on 169 carries and has caught 18 passes for 162 yards and two touchdowns. OU will close the season Friday against Akron, with kickoff set for noon. 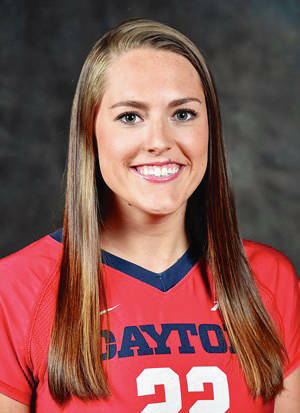 Lauren Bruns, who led teams to state championships in volleyball and basketball, is wrapping up a phenomenal career at the University of Dayton. Bruns named Player of the Year in the A-10 and Tournament MVP after Dayton clinched its fourth A-10 title in five years by winning the championship match in five sets. The Flyers, 23-7, now advance on to the NCAA tournament. Bruns went over the 1,000-kill mark this season and now has 1,155 kills in her career at Dayton. She has 494 kills this season, with 10 aces and 60 blocks. After 307 kills as a sophomore, Bruns led the A-10 in kills with 354 as a junior, earning first team All A-10 honors, as well as being named to the all-tournament team. 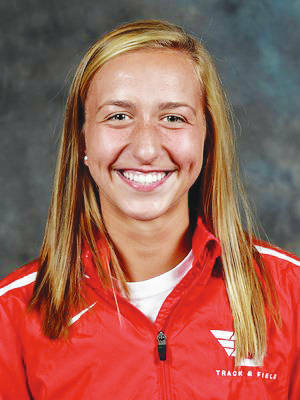 Former Russia standout Emily Borchers finished off her cross country career at the University of Dayton in style. Borchers set the 5K record at the school, by running a 17:16.9 at the Joe Paine Invitational at Notre Dame. She finished ninth at the A-10 meet in 18:14.9 and 46th at the Great Lakes Regional (6K) in 21:28.3. Borchers was a two-time All-A-10 honoree and was recently named and Academic All-American as well. 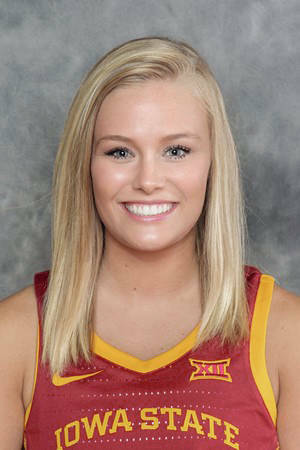 Former Piqua resident Maddie Wise got her sophomore season off to a great start at Iowa State. Iowa State won four straight games to win the WNIT tournament and Wise was named to the all-tournament team. Iowa State knocked off No, 24 Miami in the championship game 75-52. Wise opened the tournament with eight points against Niagra. The 6-foot-1 wing followed that with a 12-point, six rebound performance against Northern Illinois. She then had 13 points and seven rebounds against Auburn in the semifinals, before scoring nine points and grabbing six rebounds in the championship game.